Depuis 20 ans, VEGAS Pro Edit simplifie le montage professionnel de vidéos et de contenus audio. La version 16 contient encore plus d'outils innovants, tels que le suivi d'objet avancé, la stabilisation d'image de haute qualité et le storyboarding dynamique. Laissez libre cours à votre créativité et obtenez des résultats incroyables à une vitesse maximale. L'outil de suivi d'objet innovant de VEGAS Pro vous offre la possibilité d'identifier plusieurs objets dans votre vidéo et de suivre leurs mouvements. Il simplifie l'application des masques, filtres ou effets spéciaux tels que les corrections de couleurs. Vous pouvez également " accrocher " du texte à ces objets. Plus aucun tremblement dans vos vidéos : nous avons entièrement remanié la fonction de stabilisation d'image dans VEGAS Pro 16. Vous pouvez désormais éliminer parfaitement les tremblements de vos enregistrements en quelques clics. Profitez des avantages de la technique HDR moderne de vos caméras et moniteurs professionnels. Grâce à l'espace couleur HDR, appliquez à vos projets les plus belles couleurs que vous n'ayez jamais vues. "VEGAS Pro 15 is easily one of the best upgrades VEGAS has had in years. The Crop and PiP plugins are extremely helpful, I love the hamburger buttons, we use the "selectively paste event attributes" feature all the time, and most of all the option of a dark UI. I can't wait to check out all of the new features in version 16!" "Built-in motion tracking AND 360 video editing is what I've been waiting for! My two BIG wants have arrived in the new VEGAS Pro 16. So excited!" "VEGAS Pro is my main piece of software. Having the capability to edit video in musical beats and bars is one of the main reasons I use VEGAS on every single project I do." "VEGAS PRO 16 takes a leap of improvement, it's fast, intuitive, I certainly enjoy editing in this software like the first day in a professional way. The new image stabilization is incredible, it is a big step for this new version of VEGAS PRO 16"
"I was just watching a video showing the top 10 video effects in Adobe Premiere and the whole time I was thinking to myself VEGAS Pro 16 can do all that and even more." 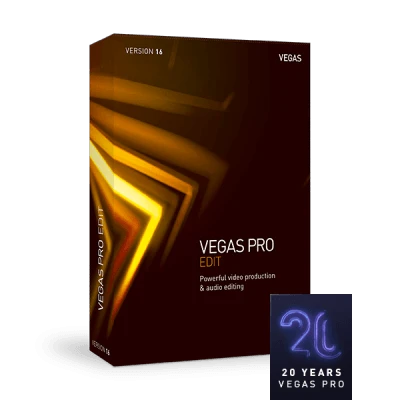 "VEGAS Pro is a video editing software I often recommend to anybody who is looking for an easy-to-use, yet very functional editor. VEGAS Pro provides everything you need in a clean and modern package." "Simple,Fast & Intuitive – VEGAS Pro is one of the best editing softwares out there in the market." 13/02/2019 - "The intuitive and user-friendly interface enables efficient post-production. With its various effects, VEGAS Pro offers many possibilities to visually enhance our videos, and applying our CI through graphics can be realized without difficulty." 06/08/2018 - "VEGAS Pro 15 provides complete, modern editing tools in a lean, logical interface to help you realize your highest creativity." 28/08/2017 - "In short, if you’ve ever found yourself wondering whether or not you’re editing as efficiently as possible, VEGAS Pro 15 might be the tool you check out to confirm that suspicion." 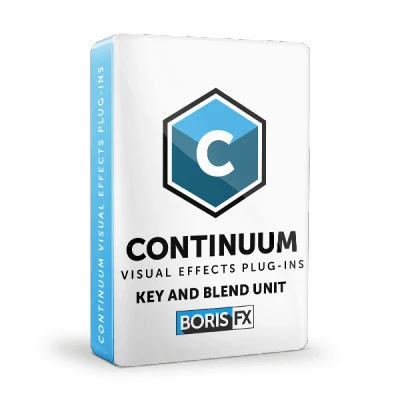 01/10/2016 - "A sophisticated editing solution used by many professional film makers and video editors."